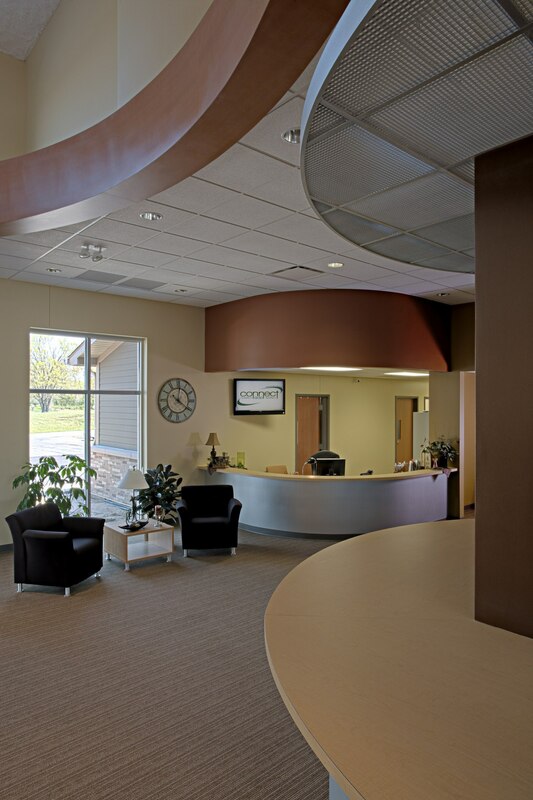 As you enter Grace Fellowship Church in DeMotte, IN, you are immediately greeted by a bright commons space with tall ceilings, beautiful windows, natural light, and a welcome desk. Café tables and couches by a fireplace immediately make you feel at home. 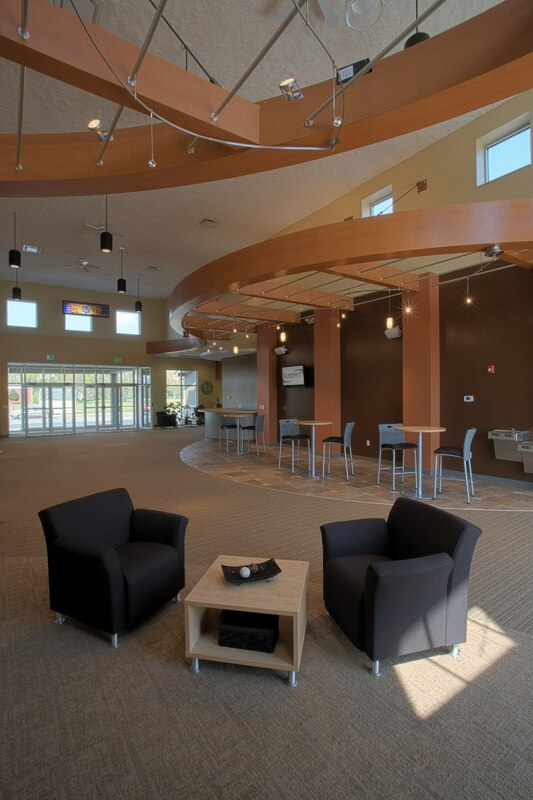 The commons is just one aspect of the 10,900 square foot building addition at Grace Fellowship Church. The project started from the need for more space. The church had outgrown their facility, and offices and youth events were located off-site. 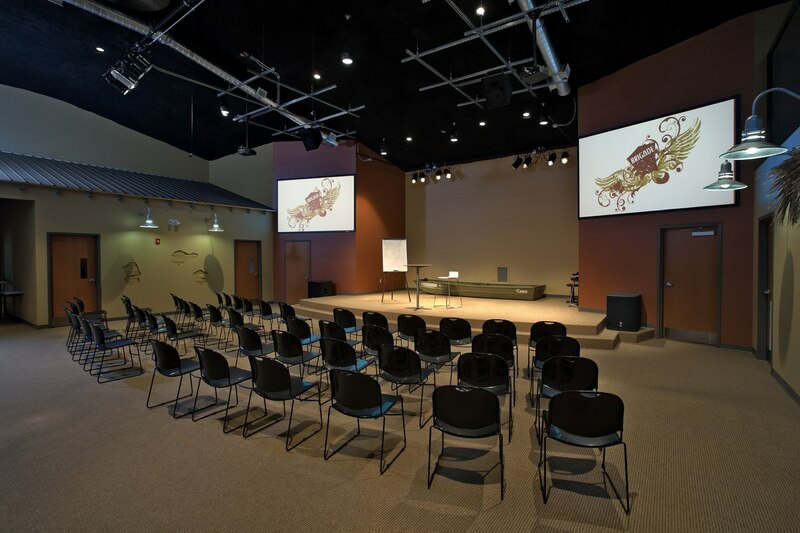 With a vision for the future in mind, Grace Fellowship launched their capital campaign, “Future Foundations: Building for Those Yet to Come” and partnered with Aspen Group to design and build a facility addition that would align with Grace’s mission and consolidate all ministry functions at one location. The building addition includes a new worship center, kitchen, commons area, and office complex. 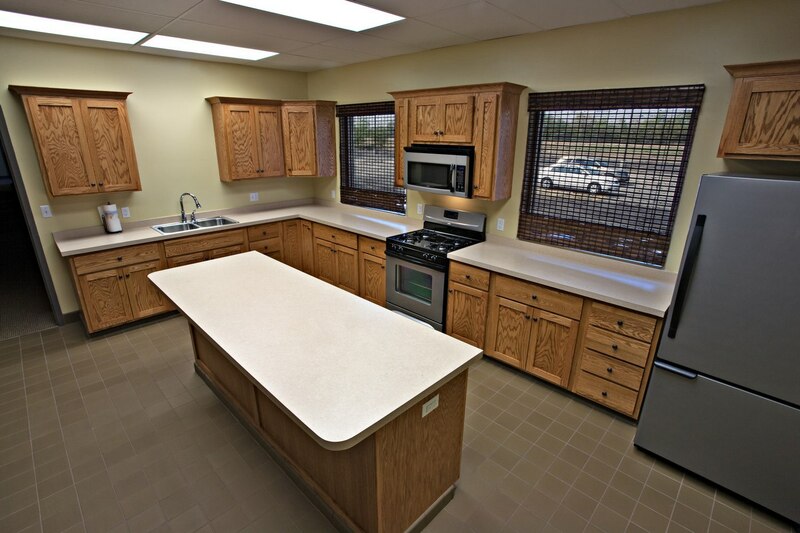 Renovation of the existing facility into youth space was also part of this project. 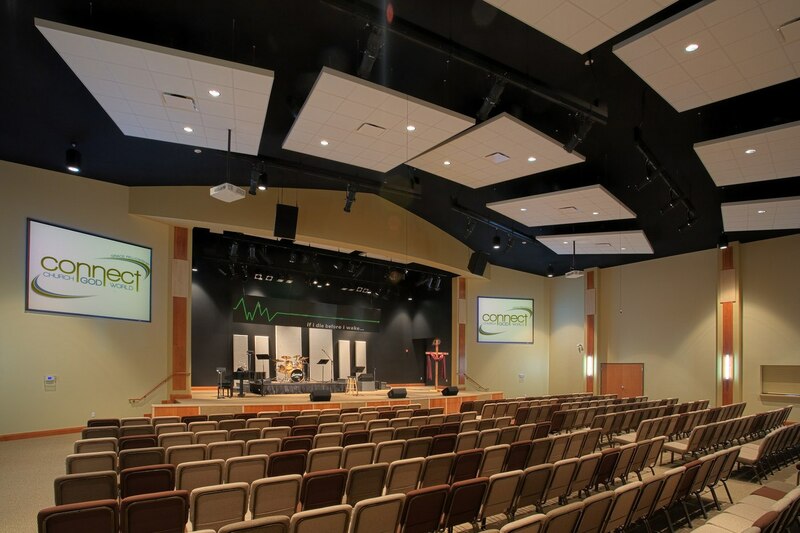 The 350 seat worship center has moveable seating that provides flexibility in configuring the space for worship or large church events. 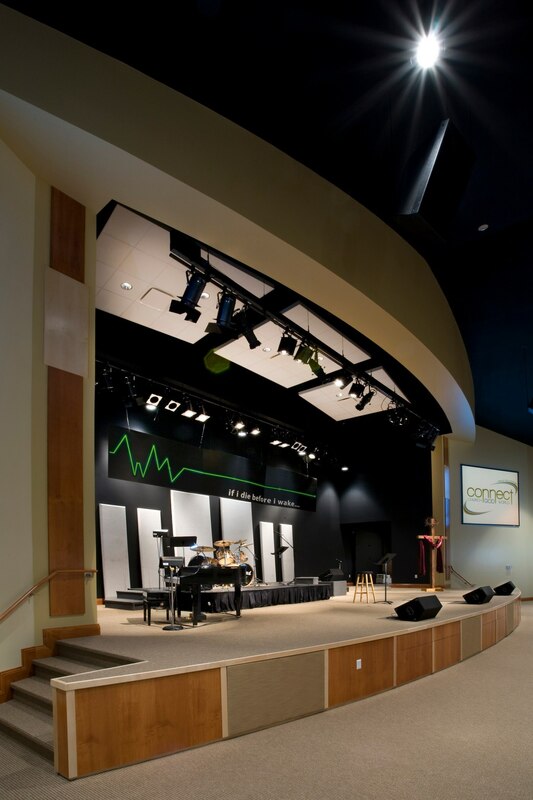 The large platform, side-stage areas, green rooms, and audio/video/lighting system were all designed to support and enhance the dynamic music and visual arts ministries of the church. The beautiful and functional commons area is a key feature of the addition. 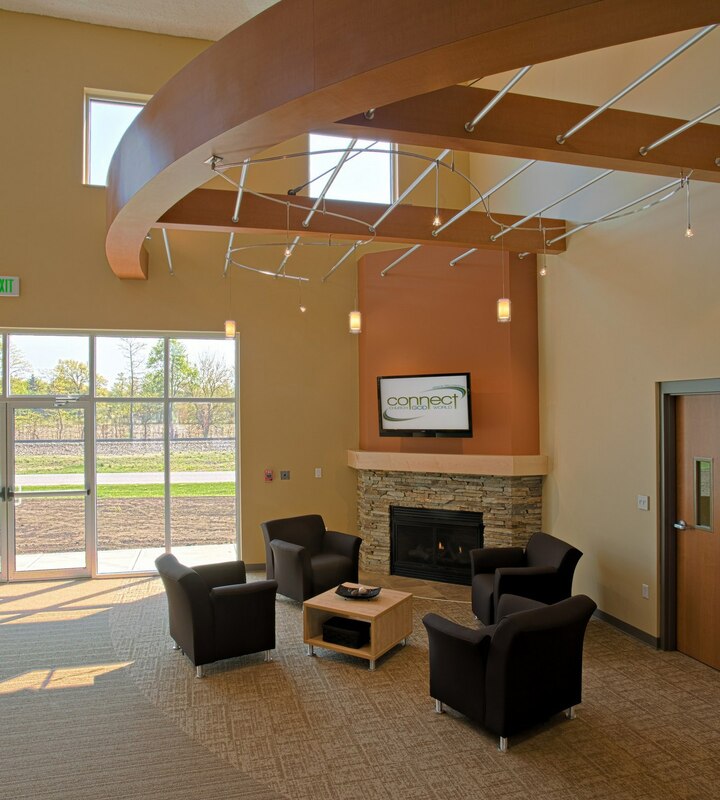 This space has provided a comfortable environment for members and guests to gather and build relationships, hold small group discussions, or just hang out. 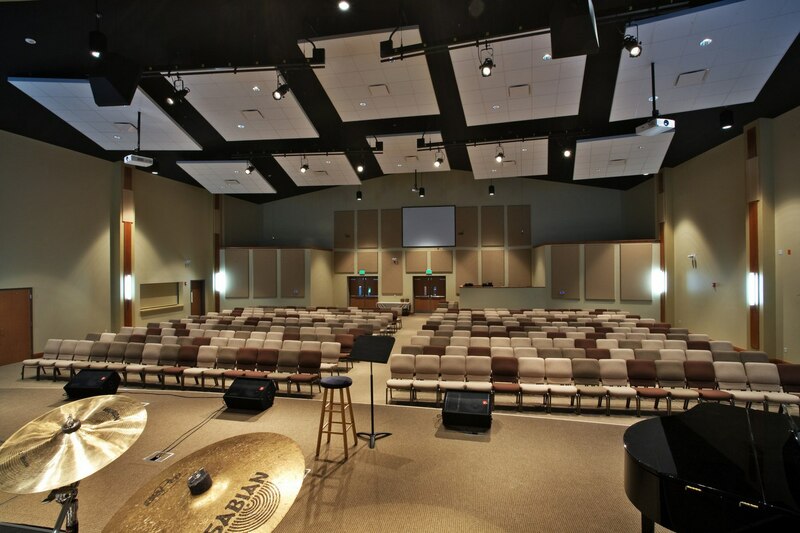 The existing facility was renovated into children and youth ministry space, with classrooms for all ages and a multipurpose room with a platform and sound booth. This space provides a fun atmosphere for children and the teen youth group as they worship and learn more about the gospel.